For the nearly 1,000 babies born each year in the United States with sickle cell disease, a painful and arduous road awaits them. The only cure is to find a bone marrow donor—an exceedingly rare proposition. Instead, the standard treatment for this inherited blood disorder is regular blood transfusions, with repeated hospitalizations to deal with complications of the disease. And even then, life expectancy is less than 40 years old. In Sickle Cell Disease, the misshapen red blood cells cause painful blood clots and a host of other complications. But now, scientists at UCLA are offering up a potentially superior alternative: a new method of gene therapy that can correct the genetic mutation that causes sickle cell disease—and thus help the body on its way to generate normal, healthy blood cells for the rest of the patient’s life. 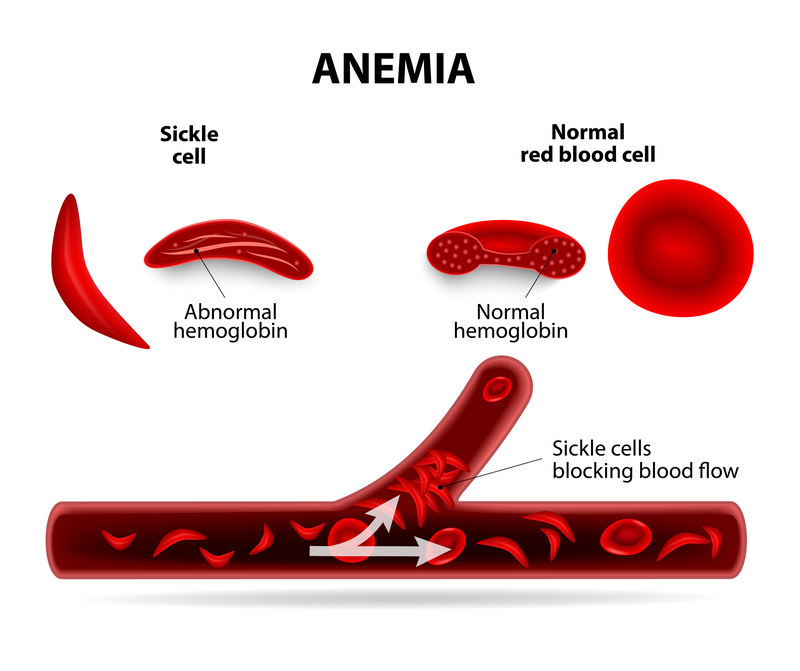 The study, funded in part by CIRM and reported in the journal Blood, offers a great alternative to developing a functional cure for sickle cell disease. The UCLA team is about to begin a clinical trial with another gene therapy method, so they—and their patients—will now have two shots on goal in their effort to cure the disease. The latest gene correction technique used by the team uses special enzymes, called zinc-finger nucleases, to literally cut out and remove the harmful mutation, replacing it with a corrected version. Here, Kohn and his team collected bone marrow stem cells from individuals with sickle cell disease. These bone marrow stem cells would normally give rise to sickle-shaped red blood cells. But in this study, the team zapped them with the zinc-finger nucleases in order to correct the mutation. Then, the researchers implanted these corrected cells into laboratory mice. Much to their amazement, the implanted cells began to replicate—into normal, healthy red blood cells. Kohn and his team worked with Sangamo BioSciences, Inc. to design the zinc-finger nucleases that specifically targeted and cut the sickle-cell mutation. The next steps will involve improving the efficiency and safest of this method in pre-clinical animal models, before moving into clinical trials. This isn’t the first disease for which Kohn’s team has made significant strides in gene therapy to cure blood disorders. Just last year, the team announced a promising clinical trial to cure Severe Combined Immunodeficiency Syndrome, also known as SCID or “Bubble Baby Disease,” by correcting the genetic mutation that causes it. Read first-hand about Sickle Cell Disease in our Stories of Hope series. Watch Donald Kohn speak to CIRM’s governing Board about his research. Am so tired of living like this. I would be so happy if a cure is found. This is nice to read. Is there any way of treating a patient without a sibling as his donor?